Cloudy. A stray shower or thunderstorm is possible. Low 54F. Winds S at 10 to 15 mph. Robert “Bob” E. Weissmann, 70, rural Columbus, passed away Thursday, April 11, at Randolph Health Services. Bob was born Feb. 27, 1949, in Watertown, the son of Robert J. and Betty R. (Kline) Weissmann. He graduated from Jefferson High School and proudly served his county in the U.S. Army during the Vietnam War. He owned and operated his own construction company and enjoyed racing on area tracks for 22 years. Bob spent his free time gardening, raising farm animals and attending races. Bob is survived by his son, Matt (Amy) Schwarz of Sun Prairie; brother, James (Denise) Weissmann of Jefferson; nephew, Robert Weissmann III; niece, Ashley (Nick) Madsen; his best friend, Keith (Mary) Hebl; other relatives and friends. He was preceded in death by his parents; longtime partner, Sandy Kluz; and other relatives. A gathering to celebrate Bob’s life will be held at a later date. Bob will be laid to rest at St. Lawrence Catholic Church Cemetery in Jefferson with graveside military honors. Cornerstone Funeral & Cremation Services, 135 Keller Blvd., Beaver Dam, is honored to be serving the family. Send private online condolences, sign the family’s guest book and find updated service details at cstonefs.com. Richard S. Jenks, 89, of Baraboo, passed away Thursday, April 11, 2019, at SSM Hospice House, surrounded by his family. Richard was born Jan. 26, 1930, in Baraboo, to Walter T. and Anne (Hadfield) Jenks. He attended Baraboo schools and graduated from Baraboo Senior High School in 1947. He then attended University of Wisconsin-Madison, graduating from their law school in 1953. He was a member of the Law Review. After graduation, he immediately left for a two-year tour in the Army Military Police at Fort Crowder, Missouri, where he served as a defense attorney for courts martial. He returned to Baraboo in 1955 and formed a partnership with his father, Jenks and Jenks, with offices above the First National Bank. Richard remained in the Army Reserves, during which time he taught Military Law at University of Wisconsin. On Aug. 31, 1985, he was united in marriage to Linda Larson in Middleton. Jenks and Jenks formed a new firm with Robert Greenhalgh and John Dithmar, with offices above the Baraboo National Bank. Greenhalgh, Jenks, and Dithmar partnered until 1988, when Richard joined Clyde Cross, Karen and Jerome Mercer and Wayne Maffei. Cross, Jenks, Mercer, and Maffei has offices on Third Avenue, in the remodeled former Moeller Wagon shop. They built circus wagons for circuses, including the Ringling Brothers, since Henry and Corwin Moeller were first cousins to the Ringlings and Gollmars. Richard practiced law with this firm for 22 years, focusing on wills, probate, estate planning, real estate and income tax preparation. He wanted to help people, especially the elderly, and his clientele often spanned three generations. Richard celebrated 50 years of practicing law in 2003, retiring in 2010. During his years as an attorney, he was president of United Way, secretary of the Baraboo Park Commission, Board Member of the Sauk County Historical Society, and Tri-County Counseling Centers, Master of the Masonic Lodge in 1966, president of Baraboo Kiwanis in 1969, and president of the Sauk County Bar in 1980. He was very active in the First United Methodist Church, teaching Sunday school, serving on the Board of Trustees and also the Wisconsin Conference of the UMC, with four years as president. He served for 19 years on the Board of Devil’s Lake Concession Corporation and on the Breakers Condo Association, Board of Directors in Orange Beach, Alabama, for six years, including three years as president and was instrumental in rebuilding the Breakers after it was severely damaged by Hurricane Ivan. Survivors include his loving wife, Linda Jenks; two sons, Tom (Sue) Jenks and Peter (Marianne) Jenks; four stepchildren, David (Milena) Larson, Mark Larson, Kristin (Gerry) Rich and Scott (Renee) Larson; 15 grandchildren; six great-grandchildren; as well as many nieces, nephews; relatives and friends. He was preceded in death by his parents and sister, Jesse Fuchiek. A funeral service will take place at 11 a.m. Wednesday, April 17, 2019, at St. Paul’s Lutheran Church in Baraboo, with Pastor Karen Hofstad officiating. Visitation will be held from 5-7 p.m. Tuesday, April 16, 2019, at Redlin Funeral Home and again from 9 a.m. until the time of service Wednesday at the church. Burial will follow at Walnut Hill Cemetery, where military rites will be conducted. Memorials may be made to St. Paul’s Lutheran Church in Baraboo or the Alzheimer’s Association. John Frank Eberle, 81, Horicon, passed away Wednesday, April 10, 2019. John was born the son of Thomas and Angeline (Tresch) Eberle on Nov. 16, 1937, in Madison. He was united in marriage with Evelyn B. Zimpelmann on June 18, 1960, in Whitewater. John was a lifelong farmer and a skilled craftsman. He and his wife Evelyn owned and operated Eberle’s Produce on their farm just west of Horicon for more than 40 years. Eberle’s Produce was well known throughout the community and beyond for John and Evelyn’s handmade crafts and home-grown produce. Over the years, generations of families made annual trips to Horicon to see Grandpa John and pick the perfect pumpkin. Above all, John cherished his faith and his family; his wife of 59 years, their five children, many grandchildren and great-grandchildren. He is lovingly remembered by his wife, Evelyn; sons, Ken (Margie) Eberle, Russ Eberle and Steve (Christine) Eberle; daughters, Tina (Dave) Streblow, Janet (Brian) Schoenborn; sisters and brother, Elizabeth Kennedy, Larry (Ann) Eberle, Vicki (Gene) Coughlin, Shirley (Jack) Crouch, and JoAnn (Wayne) May; and his sister-in-law, Betty (Dave) Zastrow. He is further survived by other relatives and friends. He was preceded in death by his parents; one sister, Anna; and one brother-in-law, Bill. A Mass of Christian Burial will be held at 1 p.m. on Tuesday, April 16, at Sacred Heart Catholic Church, 950 Washington St., Horicon, with the Rev. Justin Lopina presiding, where John was a longtime member, volunteer, and member of the parish council. Visitation will be held from 10:30 a.m. until service time at the church. Burial will take place at St. Malachy’s Catholic Cemetery in Horicon with military honors being conducted by Horicon American Legion Post 157. In lieu of flowers, memorials can be made to Sacred Heart Parish or Cure SMA. Koepsell-Murray Funeral Home in Horicon is serving the family. To make an online condolence or for more information, visit KoepsellFH.com. Howard E. Ninmann, Hustisford, died at Aurora Medical Center in Summit on April 10, 2019, following a short illness, at the age of 83. He was born June 27, 1935, in Clyman to Rueben and Anita (Genz) Ninmann. Howard attended Carey Elementary and Hustisford schools, then worked on the family and neighboring farms. Howard married Jean Falkenthal on Feb. 4, 1953. He worked as a spray painter for Maysteel in Mayville for over 40 years and was of immeasurable assistance to his father-in-law, Hubert Falkenthal, at the The Trunk Line Garage. Howard was a proud member of Maysteel’s Quarter Century Club, member of St. Michael’s Lutheran Church, and past member of Duck’s Unlimited. He enjoyed pheasant, duck and deer hunting and was known for his bounteous crops of radishes. Howard and Jean traveled to Little Arbor Vitae Lake a couple of times every year to fish and enjoy life with family and friends. His puns, jokes and sense of humor were legendary. He is survived by his loving children, Rick (Gayla) Ninmann of Hartford and Jill Anderson of Hustisford. Also surviving are his brothers Edgar (Florence) of Oconomowoc, and Marty (Julie) of Hustisford; grandchildren Jena (Barry) Anderberg of Albertville, Minnesota, Rhiannon (Dan) Berger of Fergus Falls, Minnesota, Lani (Jason) Rupaner of Milwaukee, Amy (Steven) Erato of Waunakee, Jacob (Heidi) Anderson of Hustisford, Evan Anderson (Lauren Hojnacki) of West Bend, Joel (Bridget) Ninmann of Madison; and his precious great-grandchildren Graham, Owen, Leah, Kendall, Elyse, Hannah, Jack, Elliotte and Porter. 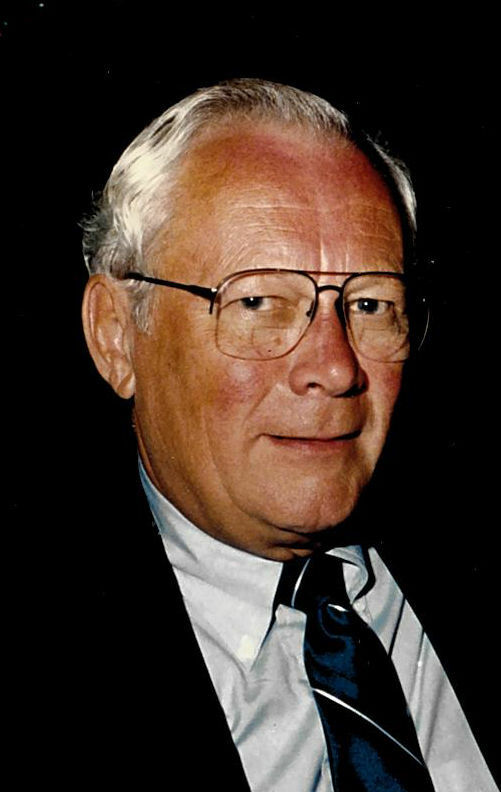 In addition to his parents, Howard was preceded in death by his wife Jean, father-in-law Hubert Falkenthal, mother-in-law Edna Falkenthal, brother Oliver, sister-in-law Yvonne Zuelsdorf, brother-in-law Orville Zuelsdorf, son-in-law Dennis Anderson, and nephews Jeffery Ninmann and Jerry Zuelsdorf. The family extends special thanks to the dedicated and attentive staff at Aurora Medical Center—Summit for their thoughtful and kind care. Visitation is Monday, April 15, from 4 to 7 p.m. at St. Michael’s Lutheran Church in Hustisford and Tuesday, April 16, from 10 to 11 a.m. at church. Funeral service to follow at 11 a.m. at St. Michael’s Lutheran Church in Hustisford. The Rev. Dan Vojta will officiate. Interment in Hustisford Cemetery. Berndt-Ledesma Funeral Home is serving the family. Catherine H. “Kate” Murphy, 89, of Portage, passed away on Wednesday, April 10, 2019, at Agrace HospiceCare in Fitchburg with her five children by her side. Kate was born Feb. 28, 1930, the daughter of Joseph Julius and Anna Sophia (Gorman) Weber. Kate met Russell Murphy while she was working at the Portage Clinic. They were married on April 24, 1954, at St. Mary of the Immaculate Conception Catholic Church in Portage. As a homemaker, Kate raised six children. Great family conversations were often held in the kitchen while she prepared home cooked meals or baked another batch of cookies to fill the cookie jar. Kate was an active member of many organizations, including Women’s Legion Auxiliary, Civic League, and Catholic Women’s Club. In addition to giving of her time, Kate was also very generous with her resources and supported many organizations. Her favorite organizations were those that helped children. Kate was a lifelong member of St. Mary’s Catholic Church in Portage, where she served on many committees and sang in the choir. She loved to play cards her whole life and was active in several euchre groups. Her favorite things to do included spending time with her family, spoiling her grandchildren, and cheering on the Packers and Brewers. She is survived by five children, Pat (Stan) Scharch of Madison, Jean (Jim) Rader of Naperville, Illinois, Ann (John) Dundas of Hales Corners, Steve (Lana) Murphy of Lake Mills, and Julie (Steve) Joosten of Oak Creek; her son-in-law, Greg Wicke of Cambridge, 23 grandchildren; seven great-grandchildren; her brother-in-law, Tom (Kathy) Murphy; her sister-in-law, Audrey Murphy; other relatives and many close friends. She was preceded in death by her parents; her husband, Russell; her daughter, Rita Wicke; her sister, Margaret Weber; three brothers, Francis, Edward and Clifford Weber; three brothers-in-law, Ken, “Duke”, Don and Jim Murphy; and three sisters-in-law, Alice Murphy, Marian Murphy and Marie (Weber) Jirsa. Mass of Christian Burial will be at 11 a.m. Wednesday, April 17, 2019, at St. Mary of the Immaculate Conception Catholic Church in Portage with the Rev. Gary Krahenbuhl presiding. Burial will follow in St. Mary Cemetery. Visitation will be from 4 to 7 p.m. on Tuesday, April 16, 2019, at Pflanz Mantey Mendrala Funeral Home in Portage (www.pmmfh.com), with a Scripture Service at 4 p.m. Visitation will also be from 10 to 11 a.m. Wednesday at the church. A memorial fund has been established by the family. Randy Ross Vesely passed away on Thursday, April 4, 2019, at age 32. With so much potential and talent lost, his family and friends will forever remember the good times they shared with Lil’ Randy. On Sept. 29, 1986, a baby warmed the hearts of his mother, Dana Schwanz, and his father, Randy H. Vesely. Randy Ross joined in the ranks as the youngest sibling to his brothers, Matthew Vesely and Casey Schwanz, and his sister, Megan Vesely. Randy enjoyed all things as a child. But one thing for sure, he loved Rock & Roll. His music was evident with his mad skills as a drummer in the local band, Underground Day 1. Randy learned from his father, at a young age, how to play drums using a 5-gallon bucket as his throne. He also loved to jam on his guitars. His mother would holler, “Turn down the radio!” and his father would tell her that was indeed Randy playing. The amp was never loud enough for him. Randy was a kind soul with a tenacious laugh. He was always ready to lend a helping hand. Randy worked with Hurd Masonry right out of high school. He was very proud to be part of rebuilding the Portage Watch House on the Wisconsin River. He is survived by his mother, Dana Schwanz of Wisconsin Dells; sister, Megan Vesely of Portage; brothers, Matthew Vesely of Madison, Casey Schwanz of Monona; niece, Lucy Schwanz; aunts and uncles, Jane (Scott) Clemmons of Portage, Julie (Rick) Schaffer of Dousman, Donna (Scott) Jones of Portage, Diana (Tim) Shebel of Portage; many cousins; girlfriend, Angie Novander of Portage; other relatives and many friends. He was preceded in death by his father, Randy H. Vesely; his grandparents, Harold and Elizabeth Vesely and Donald and Mary Schwanz; uncle, Donald Schwanz; and his dear friend, Derek Brady. Pflanz Mantey Mendrala Funeral Home in Portage (www.pmmfh.com) is assisting the family. Liane L. (Rohde) Vanderhei, 68, Lebanon, Missouri, formerly of the Waupun area, passed away Friday, April 5, 2019, at Mercy Hospital in Springfield, Missouri. Liane was born Jan. 28, 1951, in Germany, the daughter of Kenneth and Annelore (Fuhrer) Rohde. Liane is survived by her children, Jeff Biermann (Carla) of Lebanon, Missouri, Renee Adams of Randolph, and Dori Boos (Mike) of Tomahawk; 14 grandchildren; eight great- grandchildren; brothers, Georg Fuhrer (Darlene) of Beaver Dam, Jim Rohde of Beaver Dam; sisters, Marianne Hollister (Bill) of Waupun and Jo Vossekuil of Beaver Dam, along with other relatives and friends. Liane was preceded in death by her parents, Kenneth and Annelore Rohde; sister-in-law, Lori Rohde; and son-in-law, Ryan Adams. A memorial gathering will be held Saturday, April 13, from noon to 2 p.m. at Hedges-Scott Funeral Home in Camdenton, Missouri. Cornerstone Funeral & Cremation Services, 135 Keller Blvd., Beaver Dam, is honored to be serving the family. Send private online condolences or sign the family’s guest book at cstonefs.com. Richard Musser, 79, of Baraboo, passed away Saturday, April 6, 2019, just 10 days after his beloved wife, Sharon, of 48 years passed. Born in Chicago, Illinois, on Jan. 8, 1940, Richard, a south side, Windy Ciity flatlander known as the “common man,” was anything but common. God first, country second, family third. Richard was a veteran of the United States Army serving his country in Frankfort, Germany, during the Cold War from 1963 to 1965. He was a member of the VFW Greenwood Memorial Post 987. Known by many from his dedicated years working at the car wash, Richard had a larger than life character and personality that could never go unnoticed. He enjoyed driving his 1960 Buick LeSabre and was a longtime member of the Dells Area Cruisers. He will be greatly missed by family, coffee buddies at DQ and Viking, and his many friends who knew him for his “doing it his way” attitude. Survivors include his three children, Renee Musser, Rich Musser and Rochelle (Jason) Oelke; 11 grandchildren; and other relatives and friends. A Mass of Christian Burial will be held at 11 a.m. Wednesday, April 17, 2019, at St. Joseph Catholic Church, 304 East St., Baraboo, with Father Jay Poster officiating. Visitation will be from 9 a.m. until the time of Mass Wednesday at the church. Interment will be held in St. Joseph Cemetery with military honors provided by the VFW Greenwood Memorial Post 987. A luncheon and celebration of Richard’s and Sharon’s lives will follow from 1:30-4:30 pm. at Thunderbird Lanes, 1117 8th St., Baraboo, Baldwin Funeral Services is assisting the family with arrangements. Joyce Juliet (Mittelstaedt) Zick, 95, Cedar Grove, passed away Monday, April 8, 2019, at Cedar Grove Gardens. Joyce is survived by her children, Judith (Hank) Budde of Oostburg and Janice (Richard) Lang of Sheboygan; five grandchildren; 15 great-grandchildren; seven great-great- grandchildren; one brother, Paul (Char) Mittelstaedt; one sister, Alice Cavanaugh; and one sister-in-law, Margaret Mittelstaedt. Joyce was preceded in death by her parents, Theodore and Ella (Krause) Mittelstaedt; her husband, John; three brothers, Donald Mittelstaedt, Theodore (Carrie) Mittelstaedt and Oscar (Bev) Mittelstaedt; and one sister, Elaine (Harry) Schleicher. A funeral service to celebrate Joyce’s life will be held Monday, April 15, at Wenig Funeral Home in Oostburg at 11 a.m. with the Rev. Joseph Brath officiating. A burial will be at Highland Memory Gardens in Beaver Dam. Relatives and friends may greet the family at the funeral home Monday, April 15, from 10 a.m. until the time of service at 11 a.m.
A memorial fund is being established in her name. Tom Kenneth Knickelbein, 53, of Necedah, died April 6, 2019, at his home. Tom was the son of Kenneth and Mary (Baumgart) Knickelbein and was born on June 17, 1965, in Mauston. Tom was raised in the Necedah area and received most of his education from the Necedah Public School. Tom was active in football, baseball, and wrestling during school. When Tom was a junior in high school his family moved to Cadiz, Kentucky and he graduated from Trigg County High School. Tom was united in marriage to Katherine S. Preston on Feb. 10, 1990, at the Cadiz United Methodist Church in Kentucky. In 1991, Tom and Katherine moved back to the Necedah area. Tom was an avid outdoors man, who was very active in the Necedah Chapter of Ducks Unlimited and the New Lisbon Sport Club. He enjoyed bowhunting, fishing, and his true passion was waterfowl hunting. Tom was an excellent Woodcarver with many different carvings, he especially liked carving wood ducks. He is survived by his wife, Katherine of Necedah; a daughter, Sarah (Matthew Roberts) Knickelbein of Wisconsin Rapids; a brother, Kristan (Jaye) Knickelbein of Cadiz, Kentucky; a sister, Tonitte (Mike) McCurry of Tennessee; and by many aunts, uncles, cousins, and many friends. A celebration of life will be held at 11 a.m. April 13, 2019, at the Necedah Veterans Hall, 105 Plum St., Necedah. Military Honors will take place at 12:30 p.m. at the Necedah Veterans Hall. The Hare Funeral Home in New Lisbon is assisting the family with services. For online condolences visit harefuneralhome.com. Burleigh E. Jacobs, 99, Brookfield, passed away March 8, 2019. Memorial services will be held at 4 p.m. April 11, 2019, at the First Congregational Church of Wauwatosa, 1511 Church St., Wauwatosa. For more information and to leave condolences, visit BeckerRitter.com. Truman Lowe (Wakajahukga), 75, of Madison, passed away Saturday, March 30, 2019, at home, surrounded by family. With his natural creativity and innate sense of humor, Truman always made the most of life, even after he was diagnosed with stage 4 gastric cancer last fall. One of the foremost Native artists of his generation, he will also be remembered as an incredibly generous, eloquent mentor and teacher to many. Truman was born on Jan. 19, 1944, at the Indian Mission near Black River Falls, the youngest of six children. He grew up poor in material possessions, but rich in family and Ho Chunk traditions. From an early age, he learned basketry, ribbon work, and beading from his parents, and developed a deep appreciation for the natural world. He was especially fascinated with streams and rivers, and the way water moves and reflects light. These crafts, stories, and ways of living learned in his childhood would influence his art for the rest of his life. Truman graduated with a bachelor’s degree from the University of Wisconsin-La Crosse in 1969. After teaching art at Valders High School, he received a Ford Fellowship to pursue his master of fine arts degree at the UW-Madison, graduating in 1973. He has received Distinguished Alumni Awards from both the UW-La Crosse and the UW-Madison, and upon his retirement from the university in 2010, was granted emeritus status. He spent the first year of his academic career as a visiting lecturer at Emporia State University, 1973-74, returning to the UW-Madison as assistant dean of students and then to a joint position as Native American studies coordinator and assistant professor of art. He became a full professor of art, primarily teaching sculpture, in 1989, where he went on to teach thousands of students over the course of 35 years with the university. He served as art department chair from 1992-1995. As chair of the Chancellor’s Scholarship Committee from 1984-2004, he worked tirelessly to recruit and support underrepresented students interested in pursuing their education at the university. From 2000-2008, he was curator of contemporary art for the Smithsonian National Museum of the American Indian. During his time at the NMAI, he curated numerous exhibits including Native Modernism: The Art of George Morrison and Allan Houser, 2004-2005, Continuum: 12 Artists at the NMAI’s space in New York City, Fritz Scholder: Indian/Not Indian, 2008, and exhibited the work of James Luna and Edgar Heap of Birds at the Venice Biennale in 2005 and 2007. He received numerous prestigious awards throughout his career, including National Endowment for the Arts Fellowship, 1994-95, Eiteljorg Fellow for Native American Fine Art, 1999, Wisconsin Academy of Sciences, Arts and Letters Fellow, 2005, Wisconsin Visual Art Lifetime Achievement Award, 2007 and Hilldale Award, 2009. The significance of his work has been captured in the book “Woodland Reflections: The Art of Truman Lowe” by Jo Ortel, 2003. Truman’s artwork has been exhibited in solo and group shows around the world, from the Kohler Arts Center in Sheboygan, to the Crow’s Shadow Institute of Art in Oregon to embassies in Bolivia and Cameroon, and many, many places in between. One of the more memorable events of his artistic career occurred in 1997, when he was commissioned to create a piece for a year-long group show of contemporary Native sculptors for the Jacqueline Kennedy Garden at the White House. His work can be found in the collections of many institutions, including the Eiteljorg Museum, the Heard Museum, the Portland Art Museum, the Denver Art Museum, the Peabody Essex Museum, the Milwaukee Art Museum, and the NMAI. Truman is preceded in death by his mother, Mabel Lowe; his father, Martin Lowe; brothers, Clifford Lowe and Raymond Lowe; sister, Arvina Thayer; and his son, Martin “Kunu” Lowe. A memorial service celebrating Truman’s life will be held at 1:30 p.m. Sunday, May 5, 2019, at the Pyle Center, 702 Langdon St., Madison. We will be collecting photos and stories about Truman, so if you have one you’d like to share, feel free to bring it to the service. In lieu of flowers, donations may be made in Truman’s honor to, Agrace Hospice Care, agrace.com, which provided exactly the kind of care he needed in the last months of his life with special thanks to Brian and Michele; or the National Museum of the American Indian, americanindian.si.edu, an institution that is committed to sharing the values, traditions and creativity of Native people with the world, to which he also dedicated his life. Share your memories by visiting cressfuneralservice.com. Coralee “Cora” Zamzow, 76, of Wisconsin Dells, passed away peacefully at her residence on Tuesday, Jan. 29, 2019. A celebration of life memorial gathering will be held from Noon until 3 p.m. April 13, 2019, at the Wildrock Golf Course Club House, 856 Canyon Road, Wisconsin Dells. The Picha Funeral Home and Crematory of Wisconsin Dells, assisted the family with arrangements. For online condolences and information, visit pichafuneralhome.com. June D. Schneiderwind, 72, of Clintonville, passed away Thursday, March 21, 2019, at her home. The former June Dell Finnegan was born on March 9, 1947, in Reedsburg, to Edward “Pat” and Winnifred (Higgins) Finnegan. She grew up in Reedsburg and graduated from Webb High School in 1965. June attended Sauk County Teachers College, Reedsburg, for two years. She worked in Reedsburg for some time as an assembler at Hankscraft Inc. and as a receptionist at Dr. Victor Vergara’s office. Then June started at the Veterans Administration Hospital in Madison. She served as a ward clerk and moved up to the engineering secretary for the hospital. June was united in marriage in July of 1987, to Clyde O. Schneiderwind in Madison. The couple settled in Clintonville in 2000, and after close to 30 years she retired from the hospital in 2001. June is a former member of Sacred Heart Catholic Church, Reedsburg. She liked going on trips out west with her husband, making cards, and creating other rubber stamped items. June enjoyed trips with her twin sister to Hawaii, Disneyworld, Branson, and Shipshewana. She was also a collector of porcelain dolls and went to flea markets whenever possible. June had a wonderful sense of humor and her smile always lit up the room. Survivors include, her husband of 31 years, Clyde; three step-children; four grandchildren; seven great-grandchildren; one great-great-grandchild on the way; one sister, Joan (Raymond) Huber; and many other extended family and friends. She always had a special connection to Ben Huber and Dawn Werth; and their children Ana, Zac, Xander, and Caitlin Huber. June is preceded in death by her parents. The family wishes to thank the nurses with Heartland Hospice for the excellent care provided. We also wish to especially thank all the caregivers who had given so much love and compassion to June. Memorial Service will be held at 11 a.m. Saturday, April 13, 2019, at Beil-Didier Funeral Home, 299 S. Maine St., Clintonville, with Rev. Roberta Thomson officiating. Inurnment will be at a later date at Calvary Cemetery in Reedsburg. Visitation will be held from 9 a.m. until the time of service Saturday April 13, 2019 at the funeral home. Sally L. Clausen, 67, of Mendota and Paw Paw, Illinois, passed away March 31, 2019, at Miles Bluff Medical Center, Mauston. Sally was born Nov. 16, 1951, in DeKalb, Illinois, to Merlin Wesley and Gladys Marie (Tucker) Clausen. She was a 1969 graduate of Paw Paw High School. She previously worked at Caron Yarn in Rochelle and Tiki Truck Stop in Peru. She was a night auditor at Best Western in Florida when she lived there during the 80s. She is survived by her brother, Kurt of Mendota, Illinois; sister, Linda Znaniecki of Buda, Illinois; two sisters-in-law, Colleen Clausen of Franklin Grove, Illinois, and Judy Clausen of Herrin, Illinois; godson, Todd Pasley of San Diego, California; and nieces and nephews, Steve (Kelly) Znaniecki, Amy (Eric) Bishop, Kim (Eric) Deery, Jeff (Erin) Clausen, Greg Clausen, Angela (Mark) McGowan, and several great-nieces and great-nephews. Sally was preceded in death by her parents; two brothers, Jim Clausen and Kent Clausen; nephew, Brian Clausen; niece, Charyl Stouffer; and great-nephew, Logan M. Znaniecki. A celebration of life will be held Sunday, June 9, 2019, at the Paw Paw Community Building, 362 Chicago Road, Paw Paw, Illinois, with lunch being served at noon. Burial of cremains will be private at Wyoming Cemetery in Paw Paw following the luncheon. Merritt Funeral Home, Mendota assisted the family. Memorials may be directed to the family or donor’s choice. Irvin C. Goetz, 99, of Reedsburg, passed away Sunday, March 31, 2019, surrounded by family at the Reedsburg Area Senior Living Center in Reedsburg. Irvin served in the United States Army Air Corp during World War II as an instructor at an Aerial Gunnery School in Florida. Early in his working career he farmed for many years in the Township of Seven Mile Creek south of Mauston. Later he worked for the Juneau County Highway Department and retired after 20 years. He was preceded in death by two sisters; and one brother; his lifelong “sweetheart” wife Emma; granddaughter Sharon; and great-granddaughter Lisa. He is survived by son, Jack (Ruth) Goetz; daughters, Joyce (Bill) Wopat and Sherry (Dale) Hotovec; grandchildren, Jodi (Steve), Kim, Ben (Susann), Beth (Ryan), Jon (Maria), Matt (Paige), Julia, and Emily; great-grandchildren, Courtney, Joe, Maddy, Sophie, Jed, Hank, Jake, Bella, Lexi, and Nolan. A private funeral service was held Thursday, April 4, 2019, at Crandall Funeral Home, 123 Elm St., Mauston, with Pastor Anita Genrich officiating. Burial was in the Mauston Cemetery. A special thanks to the staff of the Reedsburg Area Senior Life Center and also the Hospice Team at SSM Health at Home. For online condolences, visit crandallfuneral.com. Sharon Loomans, 70, Waupun, passed away April 7, 2019, at Evergreen Nursing Home in Oshkosh. Sharon was born Aug. 25, 1948, to Wilbert and Jennie Van Buren Pluim. Sharon graduated from Waupun High School in 1966. On Sept. 1, 1972, she married Glen Loomans at Alto Reformed Church. Sharon was employed at National Rivet in Waupun for 50 years. After 19 years working for the company Sharon became the full-time voice and face of National Rivet for 31 years as the front desk receptionist. Sharon loved life and lived it to the fullest, never wasting a minute. She was at ease driving a snowmobile in the winter but traded it for their Harley in the summer. She loved sunshine, the beach, sand between her toes and wind-blown hair. Sharon adored boat rides and roasting marshmallows while singing hymns over campfires. She was always singing, so naturally she was a member of her church’s choir. National Rivet was home to her and co-workers were family. When she was not at work, you would find her lending a helping hand to someone in need, bringing a casserole to a family who lost a loved one, attending a niece or nephew’s sporting event with her husband Glen, or taking those long morning walks and lunch hour strolls. The words “shop ‘til you drop” might come to mind when you think of Sharon because there was no end in sight when you got her out of the house with her purse in hand. And she would travel anywhere because there was simply no sit in her. She insisted on being everywhere. If you were to drive by her country home, you could not help but to notice the beauty of the landscaping — pristine lawn with flower boxes and crocks filled with her decadent arrangements. She profoundly enjoyed the wonders of the outdoors and gardening. Sharon, for the adventurer she was, knew no stranger. No matter who you were, she would get to know you. You might have been the sweet-tooth in the grocery store checkout line, the impatient page-flipper in a waiting room or a curious soul out for a walk as her smile brightened up your day. She kept the family together, organizing parties, events and intimate gatherings. Sharon loved to have a good time. Sisters, brothers, aunts, uncles, nieces, nephews, neighbors, acquaintances, etc. all received cards of love from our sweet, thoughtful Sharon. She gave without expecting anything in return because her heart had room for everyone. There is a void in our lives on Earth, but heaven received a most prized angel. Sharon is survived by her husband of 46 years, Glen Loomans; four sisters, Carol (Arnie) Voskuil of Waupun, Ruthie (Jim) DeVries of Wisconsin Dells, Gloria (Wayne) Schwarze of Kaukauna, and Rose (Mitch) Redeker of Waupun; four brothers, Kenneth (Ruth) Pluim of Waupun, Larry (Joan) Pluim of Waupun, Calvin (Jeanne) Pluim of Green Lake, and Jerry (Cheryl) Pluim of Waupun; brothers-in-law, Bud Guenther of Fond du Lac, Arlyn (Sherry) Loomans of Rhinelander, Eugene (Connie) Loomans of Madison, Byron (Cindy) Loomans of Mequon, and Mark Loomans of Merrill; nieces and nephews, Trudy (Leonard) Frens, Kevin Voskuil, Shane (Tami) DeVries, Justin (Teresa) DeVries, Nathan (Sara) DeVries, Stephanie Schwarze, Jennifer (Chris) Nies, Hannah Schwarze, Nick (Jen) Redeker, Ryan (Missy) Redeker, Chelsea (Mike) Rens, Mike (Suzanne) Pluim, Deb Navis, Sue (Mike) Vande Slunt, Jeff (Rhonda) Pluim, Kristin Holz, Mason (Holly) Pluim, Branden (Kaytlin) Pluim, Doug (Lisa) Loomans, Kurt Loomans, Mike (Laurie) Loomans, Tim (Iris) Loomans, Betsy (Christian) Ezell, Jeff (Lindsay) Loomans, Katie (Jim) Horning, and Jackie (Derek) Bell; 52 grandnieces and grandnephews; and 15 great-grandnieces and great-grandnephews. Sharon was preceded in death by her parents; a sister, Joyce Guenther; and a nephew, Scott Pluim. A funeral service will be held Friday, April 12, at 11 a.m. at Alto Reformed Church with the Rev. Kevin Van Wyk and the Rev. Doug Shotsky officiating. Burial will follow at Alto Cemetery. Friends and relatives may call on the family on Thursday at Werner-Harmsen Funeral Home in Waupun from 4-7 p.m. and on Friday at the church from 10 a.m. until the time of service. Sharon’s family would like to thank her wonderful caregivers, Cheryl Mies, Tami and Ahava Graul, Cal and Jeanne Pluim, and Evergreen Nursing Staff Heartland Hospice. Werner-Harmsen Funeral Home of Waupun is serving the family. Visit wernerharmsenfuneralhome.com for more information and to send condolences. Vivian D. Penoske, 93, Beaver Dam, died Tuesday, April 9, 2019, at Columbus Community Hospital. The visitation will be at Annunciation Catholic Church in Fox Lake on Thursday, April 11, from 4 to 6 p.m., with a rosary to be recited at 6 p.m., and on Friday, April 12, from 9 until 10 a.m. The Mass of Christian burial will follow at the church Friday at 10 a.m. with the Rev. John J. Radetski officiating. Burial will be at Holy Angels Catholic Cemetery in West Bend. Vivian Dorothy Graff was born Nov. 5, 1925, in Beaver Dam, to George H. and Verdella (Immerfall) Graff. She was a 1944 graduate of Beaver Dam High School. On Dec. 7, 1945, she was united in marriage with George Penoske. Vivian worked at Weyenberg Shoes for 15 years and at Specialty Cheese for 14 years. She was a former member of Holy Family in Reeseville where she was active in the Christian Mothers and Altar Society. Vivian later moved to Fox Lake and became a member of Annunciation Catholic Parish. She volunteered for many years at Beaver Dam Senior Center, helping with bingo, lunch and other duties. In her free time, Vivian enjoyed crocheting, embroidery, puzzles and camping. Survivors are her son, Frederick (Brenda) Penoske of Fox Lake; stepdaughters, Sally Miescher of Reeseville, and Joanne (David) Zirbel of Lowell; 11 grandchildren; 21 great-grandchildren; 21 great-great-grandchildren; nieces, nephews, other relatives and friends. She was preceded in death by her parents; husband, George in 1996; brother-in-law, Emil Schmid; stepson, Eugene Penoske; daughter-in-law, Sheila Penoske; son-in-law, Fritz Miescher; and three grandchildren, George Miescher, Dan Zirbel and Bob Parr. Koepsell-Murray Funeral Home in Beaver Dam is caring for the family. To leave online condolences or for directions and other information, visit KoepsellFH.com. Betty Putz Heideman passed away April 8, 2019, at Grancare Nursing Home in Fond du Lac. Betty’s greatest pleasure in life was her family. She also enjoyed being creative with her sewing, traveling, reading and going to the casino. She farmed with her husband, Lawrence for 36 years. Betty is survived by children, Linda (Dale) Bath, Nancy (Cary) Ramthun, and Jeff (Mari) Heideman; seven grandchildren, Amanda, Shelly, Travis, Kristina, Dustin, Laura, and Sara; and eight great-grandchildren. Betty was preceded in death by her husband, Lawrence Heideman in 1986. A funeral service will be held Saturday, April 13, at 12:30 p.m. at Werner-Harmsen Funeral Home in Waupun with Deacon Willie Heideman officiating. Friends and relatives may call on the family Saturday at the funeral home from 11 a.m. until the time of service. Memorials may be directed to Agnesian Hospice Hope. Bertha R. Halverson, 65, of Wyocena/Rio, formerly of California, passed away peacefully Sunday, April 7, 2019, after a long battle with lung cancer. She was born Aug. 15, 1953, to Bert and Grace Halverson. Bertha spent 25 years in California working as a nanny. She loved taking care of little children; before she moved to California she was a nanny in Connecticut for seven years. Bertha’s other passion was traveling. She traveled to many countries. She enjoyed coming back to Wisconsin to visit her family. Bertha is survived by her four sisters, Margery (LeRoy) Zimmerman of Briggsville, Helen (Bob) Risgaard of Rio, Connie (Wayne) Staveness of Rio, Avis (Terry) Mueller of Cambridge; one brother, Owen; one brother-in-law, Gary (Joy) Schrab; and many nieces and nephews; and many special friends. Bertha was preceded in death by her parents; brothers, Clayton and Raymond; and sister, Linda Schrab. Funeral services will be at 1 p.m. Saturday, April 13, 2019, at Grasse Funeral Home, 401 Angel Way, Rio, with the Rev. Ann Walsvik officiating. Visitation will be from 11 a.m. until the time of services. In lieu of flowers, memorials may be made to Columbia Health Care Center, Wyocena. A special thank you to all the staff at Columbia Health Care Center for their loving and compassionate care. Online condolences may be made at grassefs.com. Grasse Funeral Service in Rio is serving the family. Marion A. Henke, 94, Beaver Dam, passed away Sunday, April 7, 2019, at Beaver Dam Community Hospital. Marion was born March 24, 1925, in Lowell, the daughter of Edward and Rose (Koehler) Roth. She was united in marriage to Donald A. Henke in 1958 in Beaver Dam; he preceded her in death in 1989. Marion worked as a hostess at The Pyramid Supper Club for 35 years and at Jung’s Seed in Randolph for more than 30 years. A member of First Evangelical Lutheran Church in Beaver Dam, Marion cherished her children and enjoyed traveling with her sister. Marion’s hobbies included gardening, playing golf, cross-country skiing, doing ceramics and collecting clowns. Marion is survived by her six children, Judy (Harold Sr.) North of Randolph, Bonnie (Terry) Bennett of Beaver Dam, Gary Bilke of Brandon, Cheryl (David) Benike of Beaver Dam, Jeffrey Henke of Deerbrook, and Russ (Conchi) Henke of Beaver Dam; 26 grandchildren; 31 great-grandchildren; eight great-great-grandchildren; sister, Rose Hornickle of Watertown; and further survived by nieces, nephews, other relatives and friends. She was preceded in death by her parents; her husband; three grandchildren, Jennifer, Neil, and Adam; great-grandchild, Adam; two daughters-in-law, Paulette and Sheri; two brothers; four sisters and other relatives. Visitation will be held Thursday, April 11, at First Evangelical Lutheran Church, 311 W. Mackie St., Beaver Dam from 11 a.m. until the time of the funeral service at 1 p.m. with the Rev. Bob Moberg officiating. A luncheon will be served at church, followed by burial at Oak Hill Cemetery, Waterloo. Byron Joe Walters, 88, of Rio, left for his home in heaven on Saturday, April 6, 2019, at his residence, surrounded by his loving family. He was born Dec. 21, 1930, the son of Arthur S. and Janette (Delany) Walters. Byron lived and went to school in Poynette. He was one of the “40-49ers” at the high school and went to the University of Wisconsin-Madison for a degree in agriculture education. Since part of his university experience was ROTC, the next phase of his life was the United States Army. He served his country in Virginia, Texas and Colorado. In 1953, he married his high-school sweetheart, Eleanor Curtis. They had three children. After his discharge, Byron rented the Walters' farm in Lowville. He milked cows and did general farming. Eventually, he bought the Walters' farm and Franklin Bull farm. Through the years, Byron’s interests have been his church, his family and the farm. His hobbies were hunting, fishing, card playing, flying planes and singing. Byron was a member of Poynette Presbyterian Church where he had been a church elder-trustee and a member of the choir. He is survived by his wife of 66 years, Eleanor; his sons, Curt (Bev) and David (Jeannine); his daughter, Kathryn (Brian Lindner), all of Rio; his AFS exchange daughter, Blanca Riveros of Brooklyn, New York; nine grandchildren; and 15 great-grandchildren who brought joy to his life. He is further survived by other relatives and many friends. Byron was preceded in death by his parents; his sister, Barbara; and her husband, John Gardner. Funeral services will be at 11 a.m. Monday, April 15, 2019, at Poynette Presbyterian Church, 224 N. Main St., Poynette, with the Rev. Paul Strickert officiating. Burial will follow in Rocky Run Cemetery. Visitation will be from 4-7 p.m. Sunday, April 14, 2019, at Pflanz Mantey Mendrala Funeral Home in Poynette, pmmfh.com, and from 10-11 a.m. Monday at the church. Many thanks have been earned by family and friends, Pastor Strickert, and the staff of Agrace HospiceCare for their wonderful guidance and help. Betty Heideman, 88, Waupun, passed away Monday, April 8, 2019. A funeral service is pending with Werner-Harmsen Funeral Home in Waupun. Franklin J. Gerth, 84, Beaver Dam, passed away Sunday, April 7, 2019, at Agnesian Hospice Home of Hope in Fond du Lac. Frank was born May 26, 1934, to Fred and Julia (Draheim) Gerth in Watertown. He attended Watertown High School and received his veteran’s diploma on Sept. 24, 2000. Frank served in the U.S. Army, during the Korean Conflict, from 1954 to 1956 and received an honorable discharge from the Army Reserves in 1962. On Oct. 16, 1954, Frank married the mother of his children, Joy Dickinson, in Burnett. He worked for Hevi Duty Electric in Watertown from 1957 until the time of their closing in 1971. Frank and Joy owned and operated Gerth’s L&L Bar in Fox Lake from 1971 to 1972. After the sale of the L&L, he and his brother Don owned and operated Gerth’s on the Bridge in Randolph. In 1972, Frank began his employment with the Beaver Dam Post Office from where he retired in 1999 after 27 years. Frank was a 39-year member of American Legion Post 146 in Beaver Dam and served as vice commander and commander of the post. He also served as vice commander and commander of the Dodge County American Legion. He was also a 35-year member of the 40&8. Frank was an avid sports fan until the end. In his earlier years, he played basketball for the Watertown Stags. He was a lifelong Chicago Cubs fan and was thrilled when the Cubs won the World Series. He attended many games at Wrigley Field and many spring training seasons in Arizona before and during his retirement. After retiring in 1999, Frank spent the winters in Bullhead City, Arizona, through the winter of 2017-2018. He enjoyed gambling and was a regular at the Laughlin casinos and could always be found playing a video poker machine. After his health began to decline, he was able to return to Laughlin for two last trips in October and November, attended one last “morning meeting” and said farewell to his Arizona neighbors. He enjoyed his day trips with Kelly and Brenda to Ho-Chunk Gaming in Nekoosa or Madison, with his last trip on March 16. Although he didn’t win the pot of gold, he sure enjoyed his day. He was well-known around his neighborhood on Brook Street for walking his beloved beagle, Dusty. He never left home without his pocketful of milk bones for all of the dogs he would encounter along the way. He was a personable guy and had a great sense of humor right up to the end. If you met him or worked with him, you most likely received a nickname. He enjoyed his time spent with his daughters, grandchildren, great-grandchildren and of course, his grand dogs. Frank is survived by his daughters, Brenda (Gary “Abe” Roecker) Knox of Wautoma and Kelly (Brent “Rich Farmer”) Kittleson of Beaver Dam; his grandchildren, Jamie (Andy) Stock, Jonathon Knox, Kayla (Tyler Parson) Kittleson and Collin (Brooke Kuhn) Kittleson; and his great-grandchildren, Brennan, Maddy and Izzy Stock, Talyn “Amos” Neuman and Cooper Kittleson. He is also survived by his brother, Clyde; sister, Shirley Wiessman; sister-in-law, Phyllis Gerth; nieces, nephews, other relatives and friends. He was preceded in death by his parents; sisters, Virginia Schmeling and Jean “Tootie” Thurloff; brother, Don; mother of his children, Joy Mengel; and his beloved beagle, Dusty. Special thanks to the wonderful staff and volunteers at Hospice Home of Hope in Fond du Lac for the wonderful care and compassion shown to our dad during his stay and thank you to his special friend Kathy for making his days brighter. Grandpa “Charlie” may be gone, but he will not be forgotten. Visitation for Frank will be held Wednesday, April 10, at Cornerstone Funeral & Cremation Services, 135 Keller Blvd., Beaver Dam from 11 a.m. until the time of the funeral service at 1 p.m. with the Rev. Philip Heyer officiating. Burial will take place at Highland Memory Gardens, town of Trenton, followed by a luncheon back at Cornerstone. Cornerstone Funeral & Cremation Services in Beaver Dam is honored to be serving the family. Send private online condolences or sign the family’s guest book at cstonefs.com. Marion A. Henke, 94, of Beaver Dam, passed away on Sunday, April 7, 2019, at Beaver Dam Community Hospital. Funeral arrangements for Marion are pending and a complete obituary will follow. Cornerstone Funeral & Cremation Services, 135 Keller Blvd., Beaver Dam is honored to be serving the family. You may send private online condolences or sign the family’s guest book at cstonefs.com. Franklin J. Gerth, 84, of Beaver Dam, passed away on Sunday, April 7, 2019, at Agnesian Hospice Home of Hope in Fond du Lac. Visitation for Frank will be held on Wednesday, April 10, 2019, at Cornerstone Funeral & Cremation Services, 135 Keller Blvd., Beaver Dam, from 11 a.m. until the time of the funeral service at 1 p.m. with the Rev. Philip Heyer officiating. Burial will take place at Highland Memory Gardens, town of Trenton. A complete obituary will follow. Cornerstone Funeral & Cremation Services, Beaver Dam is honored to be serving the family. You may send private online condolences or sign the family’s guest book at cstonefs.com. 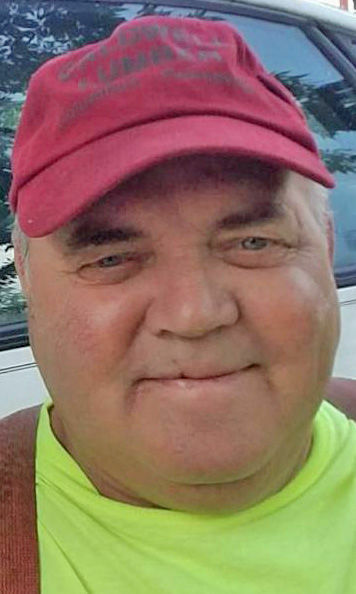 Gary R. Lince, 71, of Beaver Dam, passed away on Saturday, April 6, 2019, at Randolph Health Services. Gary was born on Oct. 12, 1947, in Yakima, Washington, the son of Richard G. and Mary (Eddy) Lince Jr. From 1964-1970, Gary proudly served his country as a Navy SEAL in the United States Navy. He was united in marriage to Julia Schade on May 31, 1965, in Nueces County, Texas. An avid outdoorsman, Gary enjoyed hunting and woodworking. Gary is survived by his wife, Julia Lince of Beaver Dam; three sons, Richard Lince of Fall River, Brian (Carol) Lince of Beaver Dam and Anthony (Penny) Lince of Lowell; grandchildren, Paul, Jason, Mary-Ann, Julia, Alexander, Anna, Hunter and Haven; great-grandson, J. Sebastian; sister-in-law, Julia Lince of Yakima, Washington; nieces, nephews, other relatives and friends. He was preceded in death by his parents, brother, Bruce, and other relatives. A memorial gathering for Gary will be held on Friday, April 12, 2019, at Cornerstone Funeral & Cremation Services, 135 Keller Blvd., Beaver Dam, from noon until 2 p.m. A graveside service with full military honors will follow at Fall River Cemetery, 641 N. Main Street, Fall River. Cornerstone Funeral & Cremation Services in Beaver Dam is honored to be serving the family. You may send private online condolences or sign the family’s guest book at cstonefs.com. Byron J. Walters, 88, of Poynette/Rio passed away peacefully at his home in Rio on Saturday, April 6, 2019, surrounded by loving family. Funeral arrangements are pending at the Pflanz Mantey Mendrala Funeral Home in Poynette (pmmfh.com). A full obituary will be published in an upcoming edition.